When you imaging growing old, you probably imagine your skin sagging and your face losing its glow. But what if those wrinkles are not a direct effect of aging? What if it is all about the amount of collagen your body produces, which reduces with age? Collagen is the “glue” that keeps us skin strong, elastic and fabulous. You have twenty eight different types of collagen in the body. 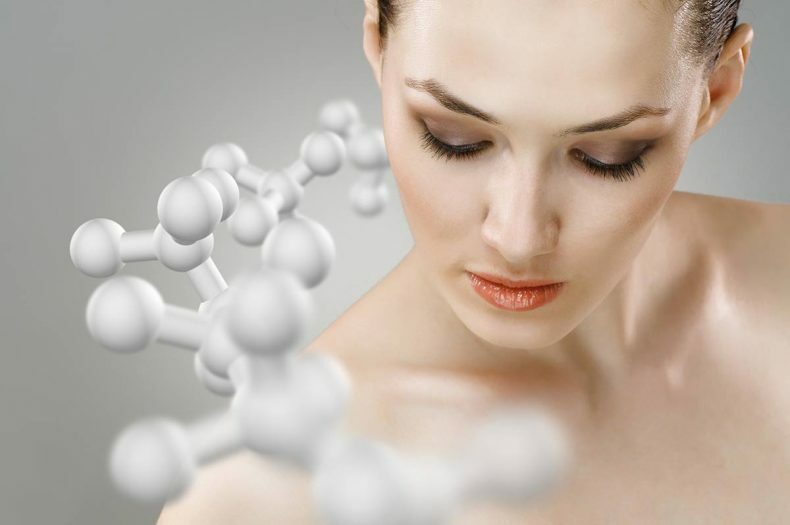 Type 1 collagen, the most abundant in your body, improves skin properties such as skin firmness. Type 2 collagen keeps the joints movable, preventing joint pain. Type 3 collagen is the second most prevalent type of collagen in the human tissue. Type 3 collagen production reduces as we grow older, and our body produces more type 1 collagen, compared to type 3 collagen. Where do collagen supplements come in? There are several ways to keep those wrinkles at bay. Botox would be an external solution. Collagen injections and collagen ointments are a way of “fixing” or “dewrinkling” a specific part of the body. Collagen supplements, on the other hand, act on your body from the inside. They enter your bloodstream and increase your body’s collagen production. This causes tangible changes in your skin health, with less potential for side-effects. However, as it is with anything, how do you choose which collagen supplements to take? This article guides you through six questions to ask yourself, before you add a collagen supplement to your shopping cart. You have just learned that your body produces more than one type of collagen. Look at the product description, to see what type of collagen the supplement contains. Collagen supplements that contain more of type 1 and type 3 collagen are preferable, as your body produces a greater concentration of those types of collagen. It is not enough if you take collagen supplements, if they do not get used up by your body. One of the biggest complaints about liquid collagen supplements is that they could potentially break down into proteins, that function as no more than an energy boost. One way to remedy this? Drop those collagen pills, and pick up a collagen beverage like Skinade. Liquid collagen has a higher absorption rate into your body’s bloodstream (95%), compared to collagen pills (30-35%). Collagen supplements, in addition to type 1, type 2 or type 3 collagen can also include other anti-aging ingredients. For instance, a collagen supplement containing type 1 collagen, type 3 collagen, vitamin C and hyaluronic acid. Vitamin C, for instance, increases the amount of collagen that is absorbed by your body. Tip #4: Is there research to support the effectiveness of your chosen collagen supplement? When the form or brand of collagen supplement you pick has a strong evidence-base, you can be doubly confident of the outcome. For instance, research points to oral collagen supplements (such as liquid collagen) having no side effects. On the other hand, collagen injections could have potential side effects, based on your individual sensitivities. Are there articles that point to the brand of collagen beverage you are about to buy having a pronounced improvement on skin health? Do collagen supplements have a more pronounced effect in improving joint pain, or are they only effective in the realm of skin health? Tip #5: Is the manufacturer of your collagen supplement reputed? Since you are consuming this collagen supplement, and it is about to cause visible changes in your body, the quality of the collagen supplement is very important. It is not just brand value you need to consider. How has the collagen supplement brand been rated by previous or current users? What kind of quality-control checks has it passed, and what do health professionals feel about it? Tip #6: What source of collagen does the collagen supplement utilize? Most of the best collagen supplements are derived from marine life, turns out it is safer than say, bovine-based collagen. Marine-based collagen is purer, and more easily absorbed by your body, than collagen obtained from other sources. When your cells absorb collagen from these collagen supplements more readily, your skin is more likely to stay smooth and wrinkle less. Collagen supplements are extremely beneficial to feel forever young. These six tips can help you maximize the benefits of collagen supplements, as you pick the collagen supplement that your body can use optimally. A liquid marine-based type 1 and type 3-heavy collagen supplement by a well-established brand, which incorporates vitamin C into the mix, for example, is more often than not a great choice.